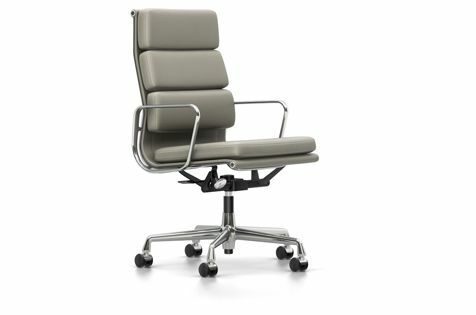 EA 219 with high backrest. Sewn-on cushions with polyurethane foam upholstery in Leather or Premium Leather (latter version with topstitching). Side profiles and spreaders in polished or chrome-plated die-cast aluminium.